FREE Copper+ Crane Products If Selected (Apply) - Freebies, Deals, & Cash! Check your emails from Viewpoints! 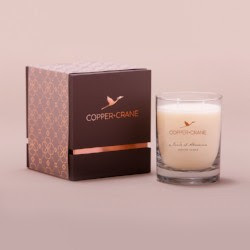 Apply to try the “Copper + Crane” products, in exchange for giving your Feedback via a Product Review! GO to their website HERE, and fill out the form to apply. If you are selected, you will receive an email response letting you know! Want more Freebies? Join Our Facebook Group!